Field Music, brothers Peter and David Brewis, hail from Sunderland in the North-East of England. The band’s music draws on influences as wide-ranging as Stravinsky, Stax R&B, Serge Gainsbourg, Thelonious Monk and Hall & Oates. Field Music’s sound is like all of the pop music you’ve ever heard but with a distinctly British – and north-eastern, tinge. They’ve become known for a deconstructionist approach to songwriting, playfully twisting compositions into new and odd shapes, with a refreshing disregard for convention and cliche. In 1999 Former teenage pub-rock prodigies siblings Peter and David Brewis perform their first gig as The New Tellers – a quartet with friends and future Futureheads, Barry and David Hyde. By all accounts they are a shambolic mess, but band names are hard to come by and this one stuck around long enough to follow Peter and David to Manchester’s. In The City festival in 1999, where they perform David’s songs as an avant-noise Pet Shop Boys style duo and promptly win best unsigned band award. The following years see Peter and David developing their song writing and recording skills whilst finishing their studies. Solo material is released sporadically by each brother under different monikers but always greeted with warm critical praise. Towards the end of the year, the brothers decide to make a collaborative record and begin recording at their 8 Music Studio in Sunderland with friend Andrew Moore on keys and Tom English on drums (also drummer in neighboring band Maximo Park). The brothers, still without a name for this new set up, sign with London based independent record label Memphis Industries. In Spring of 2005 the brothers settle on the name Field Music and release their first single, Shorter Shorter, a bizarre two-minute slice of fidgety pastoral pop. This is followed by the skewed classicism of You Can Decide, and then If Only The Moon Were Up, which incongruously melds the most confusingly backward-sounding riff ever to feature on MTV with an entire fiesta’s worth of latino percussion. Their self-titled debut album is released in the UK in August to warm critical praise, including 4 star reviews in Mojo, Uncut and The Times. The band tour the record as a three piece, Tom English having left to concentrate on Maximo Park full time, with Andrew Moore on keys and the Peter and David sharing kit duties. Field Music’s debut album is finally released Stateside where the same warm critical is heaped on the record (Spin give it an A- and say its “orchestral pop that’s at once damaged and gorgeous”). The band play SXSW and are one of the surprise hits gaining acclaim from The New York Times amongst others. A compilation of b sides and previously unreleased songs entitled Write Your Own History is released. Second album Tones of Town is released in January 2007 and receives a raft of glowing reviews in the UK (4 star in Uncut, Mojo and Q) whilst in the States, Paste magazine give it 4 stars and Nylon describe them as “one of the smartest rock bands out there”. They support the record with a short tour but, feeling hamstrung by their touring and recording routine and struggling to make ends meet, Field Music go on in the summer of 2007 with Andrew Moore leaving the band to train as a chef. David Brewis releases a solo record via Thrill Jockey under the name School of Language and calls it Sea From Shore. He forms a live band with Doug McCombs of Tortoise and Euphones’ Ryan Rapsyis to tour the record whilst NME make David one of the top 50 most innovative musicians in the world. Peter Brewis releases his one off The Week That Was project which ends up as #8 in Mojo’s albums of the year and gets an 8.2 review on Pitchfork. He tours the record with David on drums and local musician Kev Dosdale on synth and electric guitar and Mark Simms on bass. Peter and David complete work on a sprawling 20 track double album called Field Music (Measure). It’s released in February 2010 and proves to be their most commercially successful and acclaimed record to date garnering a 5 star review in Uncut and 4 stars in Q and Mojo. The brothers tour the record with Kev Dosdale again on synth and electric guitar and Ian Black on bass. The band play Primavera and Glastonbury for the first time. The community centre at which their 8 Music Studio is based is closed down as a result of government cuts so the brothers relocate and build a new studio on the banks of the river Wear. They begin work on what will become the fourth Field Music album but afford time to collaborate with Tortoise and Norwegian band Jaga Jazzist on a one off show in Oslo at which the three bands combine to cover each others songs. On their return to Sunderland they start rehearsing the Field Music live show with Kev Dosdale but this time with Andrew Lowther on bass. The album ‘Plumb’ is completed in September 2011 and is all set for release in February 2012. The band release fourth album “Plumb” to the usual critical avalanche of praise. The record ultimately is nominated for the UK’s prestigious Mercury Music Prize. The band tour the record including slots at Glastonbury and Green Man. Field Music are commissioned to compose the score to classic 1920’s documentary on the North Sea fishing industry Drifters. They perform the score to the documentary in shows around the UK. They record and release the score entitled “Music for Drifters” for Record Store Day 2013. David revisits his School of Language moniker with new album “Old Fears” which he tours extensively around the United Kingdom. Field Music return to film scoring with their soundtrack to the film “Asunder” a documentary about the effects of the First World War on the North East of England. The perform the score live at various screenings, including the Barbican. 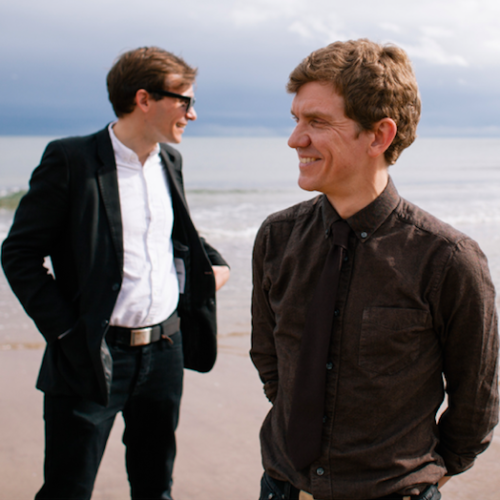 The brothers release their fourth Field Music studio album in the form of “Commontime”. The record picks up support from none other than Prince who tweeted that it was “Beautiful… strange” shortly before his passing. They tour the US for the first time in 5 years. 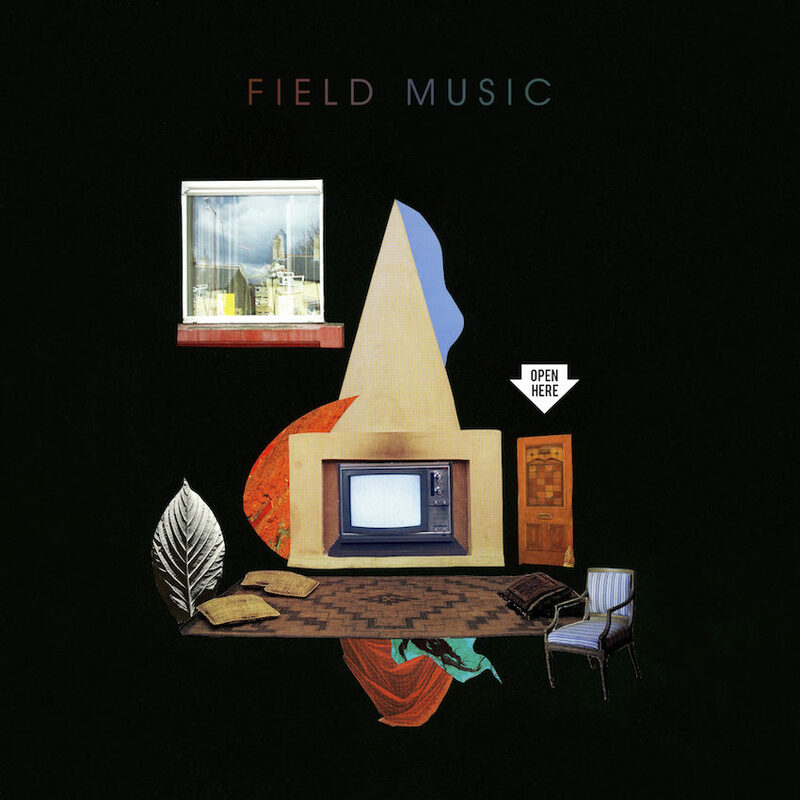 – Field Music new album release Open Here featuring the singles “Count it Up” and “Time in Joy”. The Guardian say its “their grandest pop masterclass yet” and it enters the UK album chart in the top 30, their highest charting album to date. The band play shows at the Northern Stage in Newcastle and the Barbican in London bringing the album to life with woodwind, brass and strings.